Mr. Mikesell is one of the English teachers who supervises the after school writing lab at Springville Junior High. Most students at Springville Junior High have not yet heard of the important news - there is an after school writing lab for students. Students can use this writing lab to finish assignments on computers or get help on their writing assignments. “The writing lab is everyday after school from 2:40-3:30 except Wednesday,” explained Mr. Mikesell, an English teacher at Springville Junior High, “We have English teachers there everyday. They can help you with any writing assignment, and can help you learn how to use computers.” The supervisors are Ms. Neeley, Mrs. Bass, Mr. Mikesell, and Mrs. Rice, all English teachers at Springville Junior High. They are there the whole time to help students with anything they need. According to Mr. Mikesell, the environment in the writing lab is a very calm, peaceful, laid back environment where students can get their work done with very little interruption. It’s a place where, teachers hope students can feel calm and know that they can get help if they need it. In the past, very few students have shown up to the writing lab. This is its second year being used and the supervisors hope that this year more students will show up. “The writing lab is in room 22 – a computer lab; there are plenty of available computers for students to use, if needed,” explained Ms. Bass. If you need to finish your writing assignments or need help understanding how to use computers for school, the writing lab is the place for you! Mr. Tsugawa teaches his 8th grade orchestra class. Have you ever wandered through the halls and heard the beautiful melody of the violin? Or perhaps the viola, cello, of bass? Here at Springville Junior High, hearing an instrument isn’t hard to come by. Mr. Tsugawa is well known for his fun songs and teaching skills. Orchestra is one of the few classes were no text books are needed, so this class isn’t hard to love. Ninth Grader Elizabeth Elloit, who has been playing the violin for four years, said, “His class is really fun and we learn a lot.” With his European Melodies and American songs, students learn a lot about different cultures and religions. The orchestra students have a lot to look forward and prepare for because every two to four years high school orchestra students have the opportunity to perform at California’s Disneyland. This opportunity helps encourage students to work and have the chance to perform at a real stage. Sunroc Lions facing the Payson Giants...It’s a bad idea to come into the Lion’s den. Last Tuesday evening the streets of Springville were quieter than normal. Of course! That’s why; the Sunroc Lions faced an intimidating opponent: The Payson Giants. Immediately after the Reams Badgers defeated their opponent, the Lions took the field and amazed crowds from the start. From amazing kicks to two touchdowns within the first half, the Lions kept the crowd in their seats for the duration of the game. Although they won, Tyler Sumsion, a player on the team, said, “We did really well in the first half, but in the second half we could have given 80% more effort.” Many SJHS students showed up for the football game and all said it was the best game so far. With the new school year, Springville Junior High School has a new journalism class to bring you information about the school and its surroundings. The journalism class is taught by Ms. Tiffanie Miley, who also teaches seventh grade English. “I enjoy teaching journalism because it's a class with an immediate real-life application,” said Ms. Miley. She continued to say that because of the real-life nature of the class, it motivates her students to do their best work. Surely, many teachers would like that. Students enjoy the class too, Jack Setzer, a journalism student, said one of his favorite things about the class was going out to interview students and teachers. Kara Dunn, another member of the class, said, “I love this class, and being able to move at our own pace while writing about what we want.” Max Schreiner, another member, said he enjoyed being able to move at his own pace too. As a class, the journalism students brainstorm a list of things that are going on at the school, and around the school. They then choose a topic they want to write about, brainstorm about the topic, and gather information through interviews. Following the interviews, the students, draft, edit, and review each others work, and finally e-mail their article to Ms. Miley who submits the best articles to Springville Herald. “We love the young people who write for the Springville Herald,” said Pat Conover, an editor for the Herald. SJHS finds their articles in the paper rather often, much to the liking of the students, and their mentor, Ms. Miley. For the first time in several years, this semester's Journalism class is going to publish and distribute a paper to the students during school. Pictured: Front row, left to right: Jacob Simmons, Spencer Duncan, Jennifer Galindo, Kara Dunn, and Jack Setzer. Second row: Brooke Seaton, Morgan Bowser, Shyenaia Luna, Jacob DeRosia, and Cody Woolsey. Third row: Chelsea Ricks, Katya Wagstaff, Julie Barbosa, Hayde Blanco, Christopher Taylor. Back row: Max Schreiner, Andrew Garza, Kaleb Barnum, Sarah Jensen, Jose Martinez, and Kenia Martinez. Mrs. Koriane Maughan with eighth graders Haleigh Payne, Jordan Treasure and Chancy Conger. Mrs. Koriane Maughan is a new eighth grade English teacher at Springville Junior High. She has also taught at Salem Hills High School and Lehi High school. She hopes this year she can help her students get excited about English. The reason why Mrs. Maughan decided to teach is because she had a summer job as a dance teacher; she had so much fun teaching girls to dance that she realized she wanted to do it for a career. She decided to teach English because it was something she enjoyed at school. Outside of school Mrs. Maughan enjoys playing softball; she is even in a league. She also enjoys golf and dancing; she has been a dance teacher at Stars Studio in Salem and Dance Central in Springville. As the school starts, students are getting ready for another great year at SJHS, with the help of the new student council. 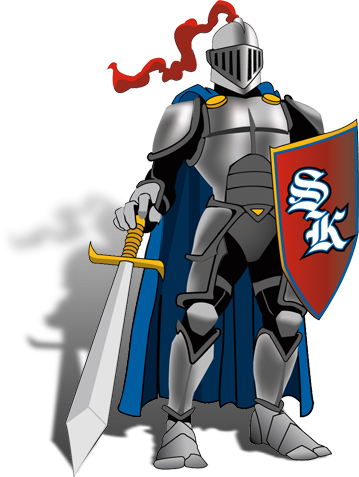 Student council for the first half of the year is Jace Hartman, president, Cami Sumsion, Sara Ripley, and Katie Bair, vice presidents. These students serve the school for half the year. “Student council is fun,” Jace Hartman said, “We make the school fun, and we make contributions to the school.” Student council takes Service Learning where they do service projects for the school and the community. They also learn how to be a better council. They learn how to give ideas for the school's behalf. The student council learns how to be successful learners, effective communicators, and responsible citizen, so they can be the best council. The students got on the council because they campaigned last year and gave reasons why they should be on the council. Some of the responsibilities of student council members are, “Decorating for the dances, doing service projects, coming to the administration with concerns and suggestions, and doing the pledge of allegiance on Mondays,” said assistant principal Mr. David Knudsen. The SJHS Golf Team, front row left to right: Radley Nelson, Allan Maughan and Cooper Fullmer. Back row: Coach Dallin Krebs, Kyle Englund and Zach Droubay. The most exciting thing for a golfer is making the golf team. This year the golf team members consist of eighth graders Gregg Davis, Allan Maughan, Gabe Hargett, Radley Nelson, Cooper Fullmer, Kyle England, Zachary Droubay, and ninth grader Tanner Bunnell. The golf team practices at Hobble Creek Golf Course every Tuesday at 4:00 p.m., but “team members are strongly encouraged to practice on their own during the week,” said Coach Dallin Krebs, who is also a math teacher at Springville Junior High. There are four tournaments each season plus districts which is where the winning school will be determined. Zachary Droubay, golf team member, said he joined the golf team, “Because it’s awesome!” He also remarked that Mr. Krebs has taught him a lot of things. The golf team had their first tournament on Monday, September 14, 2009, at 3:00 p.m. at Hobble Creek Golf Course. Ready, Get Set, Audition at SJHS! Students at SJHS have the opportunity to audition for this school year’s musical sometime in January or February. Not every student has what it takes to be a drama queen (or king). But if a student really wants to, it is suggested that they have a good voice, and take dance lessons of any kind. The reason students audition or don’t audition normally depends on what musical will be presented. Mrs. Walker has been choosing between High School Musical Jr. and Bye Bye Birdie. What if Mrs. Walker chooses High School Musical Junior? Students have different opinions about High School Musical. Kaity Hansen, an eighth grader, said, “I love it! It’s my favorite movie!” The reason students like or don’t like High School Musical could have something to do with Zac Efron, who plays Troy Bolton in the movie. Another change taking place with the school musical is that Mapleton will not be invited to audition because they are doing a Shakespeare production at the same time. That also means that Mrs. Erin Bailey, the Mapleton choir teacher, will not be helping this year like she did the last school year. What is a school musical without choreography and a choreographer? The choreographer for this upcoming production will be Ms. Tyne Valgardsen, who choreographed Beauty and the Beast three years ago. Being in the school musical can be an awesome experience for students. It’s a chance to meet new people, learn new things and come outside of their comfort zone. At Springville Junior High, there are a lot of opportunities for sports. One of these is Cross Country. Cross Country is basically long distance running. Kids compete in one and a half mile meets each week on Thursdays. On Monday through Wednesday they practice, usually running two to four miles each day. Ms. Carrie Parker, the aerobics and body conditioning teacher, coaches the team. All grades can run and compete. Ms. Parker is very enthusiastic about the team. She said, “We have a good turnout of a great group of runners. I love being a coach.” According to her, it is a great experience because she gets to watch runners get better at what they do. Many team members think that meets are an important and fun part of Cross Country. There have been two meets so far. In both meets, the boys took first and the girls took third. Unlike other sports, where how good the team does is based on whoever got in first, Cross Country depends on the five fastest runners on the team. Their placements are added together to give the team a score. The school with the lowest score wins. Many people are curious about how the new seventh grade team members will turn out. Ms. Parker said, “The seventh graders are a strong addition to our team.” Most seventh graders are glad to participate in Cross Country. According to Alex, everyone has been very nice to the seventh graders even though they are new.